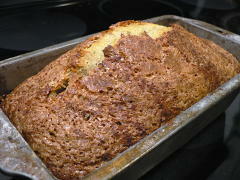 The last time I made banana bread I said, “As far as I’m concerned, the chopped walnuts are not optional. I won’t think you’re a bad person if you don’t use them … I just won’t like your bread.” So you might wonder why there aren’t any nuts this time. Here’s why: There’s a difference between “optional” and “I thought I had some, but I didn’t.” The lesson for today, kids, is make sure you have all the ingredients before you start baking. 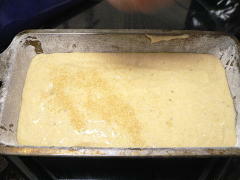 And the other lesson? 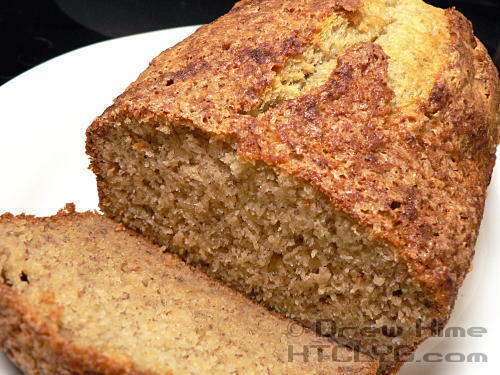 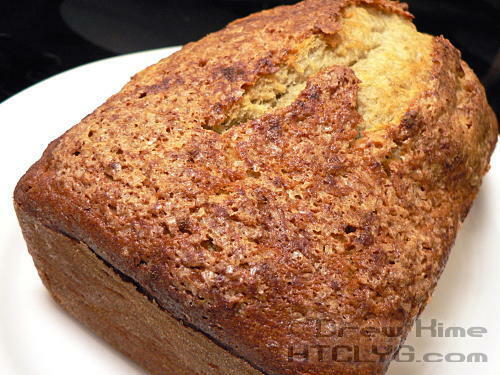 Fresh banana bread, still warm from the oven, is pretty good even without any nuts in it. 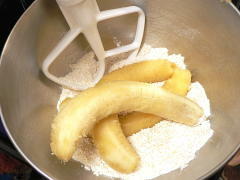 Add the bananas and beat them in until well mixed. 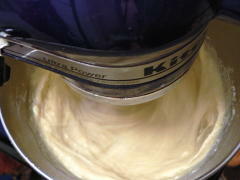 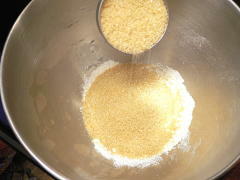 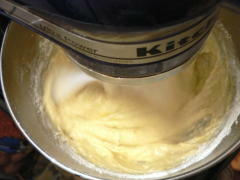 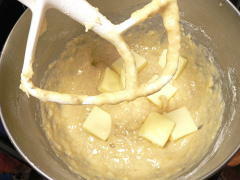 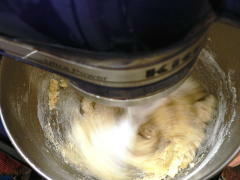 Add the butter and milk and beat again until all the lumps of butter are smoothed out. Finally, add the rest of the flour and the eggs and beat on medium speed for 4-5 minutes. 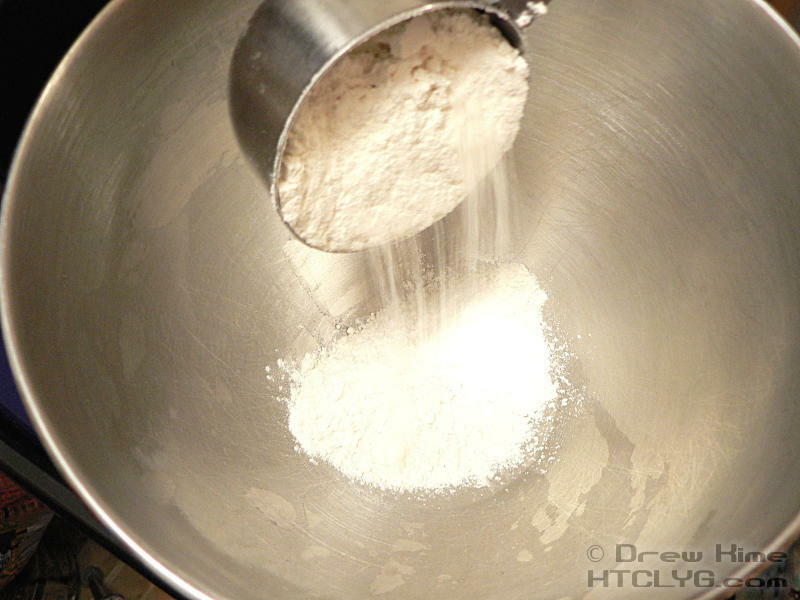 Flour a loaf pan (click here for directions on flouring a pan) and pour in the batter. 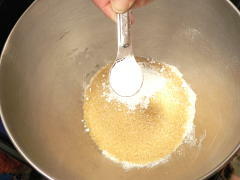 For a slightly crispy, tasty crust, sprinkle on a tablespoon or two of raw sugar — or any other kind with larger crystals than regular white granulated sugar — and a teaspoon of cinnamon. 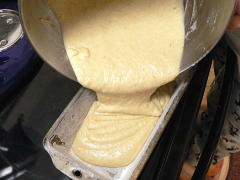 Bake at 350° for 50-60 minutes, until a knife inserted through the tallest part comes out without raw dough stuck to it. Don’t expect the knife to come out completely dry, this is a very moist bread. Serve warm from the oven with plenty of butter. 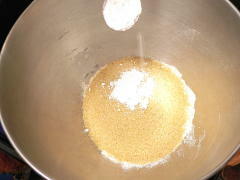 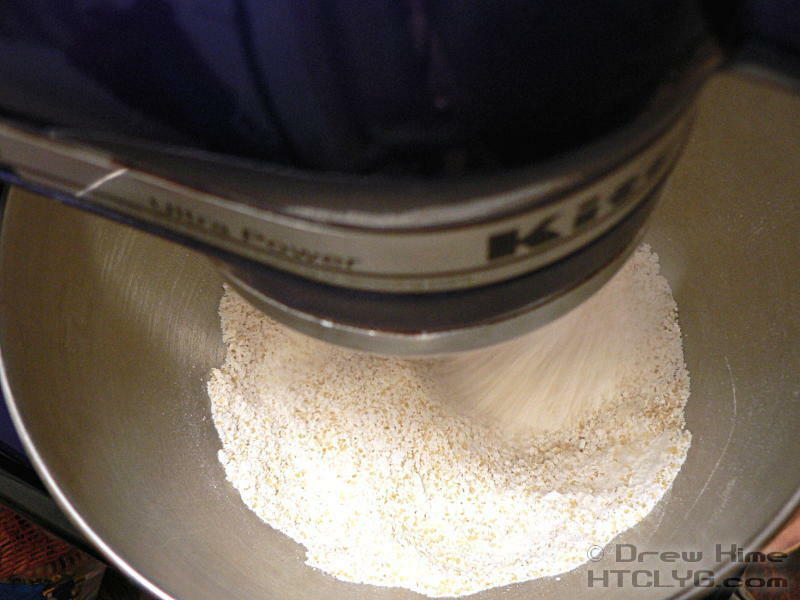 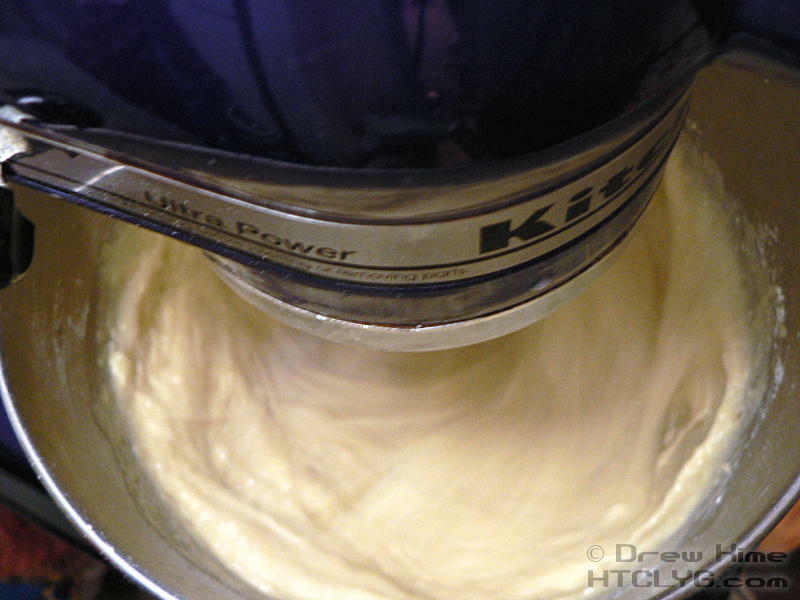 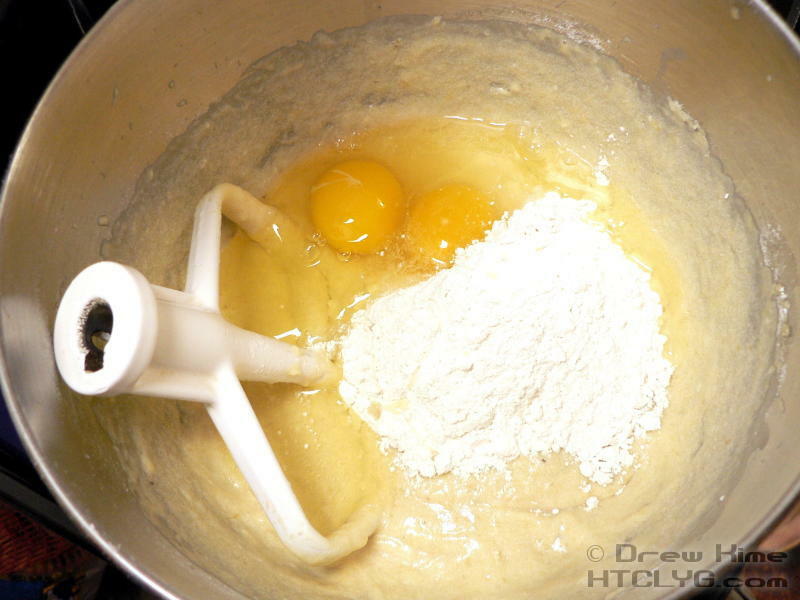 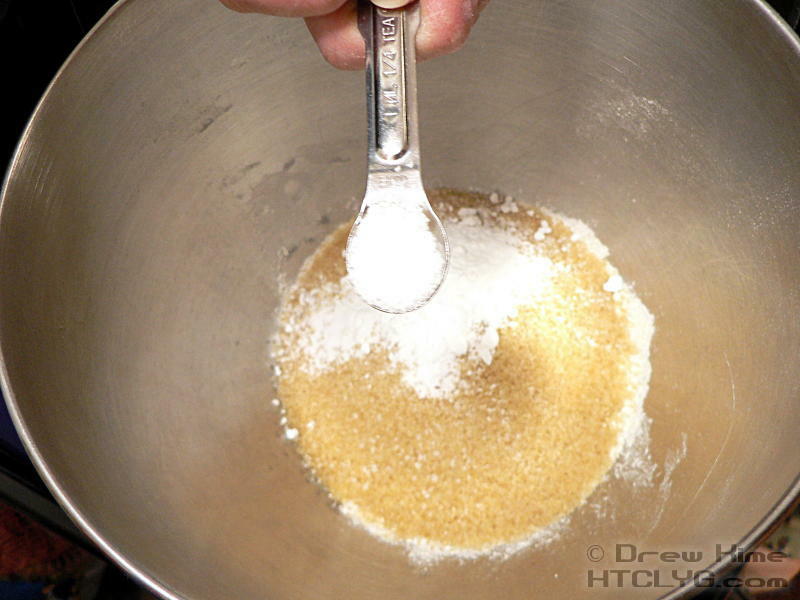 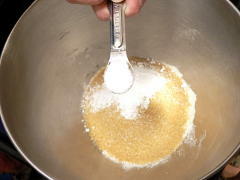 Combine one cup of the flour and all other dry ingredients and whisk together. 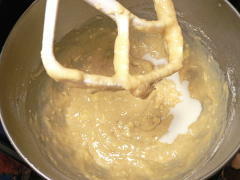 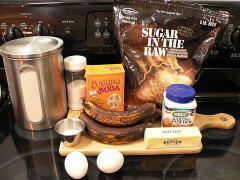 Add the bananas, butter and milk and beat until smooth. Add the remaining flour and the eggs and beat on medium speed for 4-5 minutes. 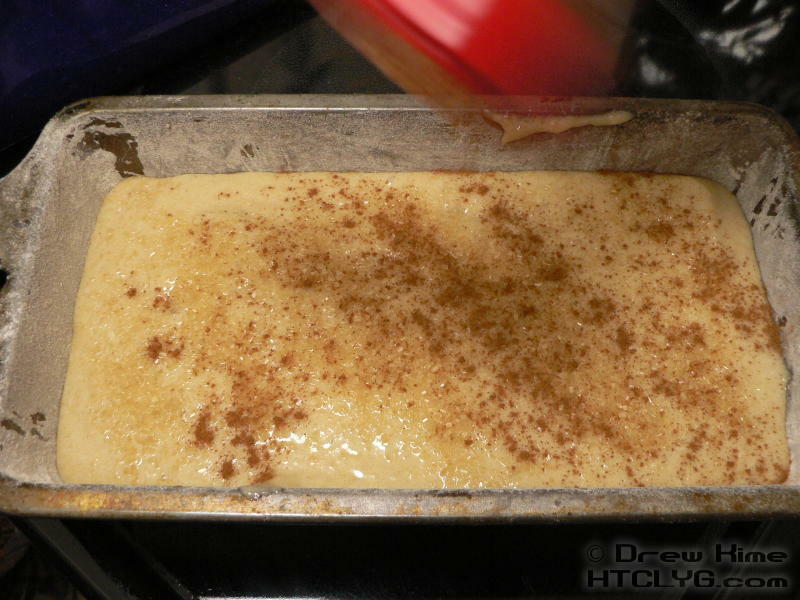 Pour batter into a floured loaf pan and top with cinnamon and raw sugar. 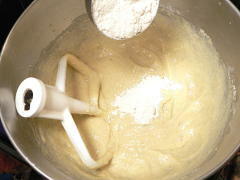 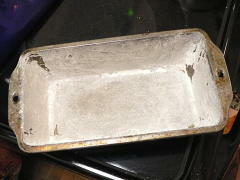 Bake at 350° for 50-60 minutes, until a knife inserted through the tallest part comes out without raw dough stuck to it.